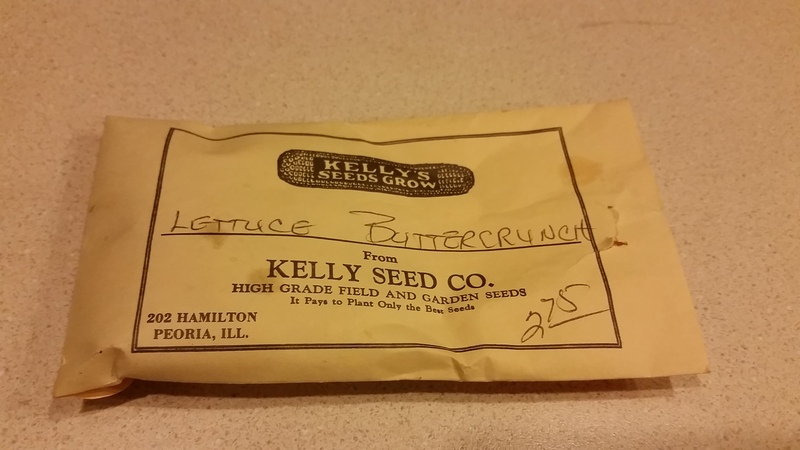 Last year, I bought 1 oz of Butter Crunch lettuce seeds. I like it…a lot actually. I like it so much that I bought an ounce, which is somewhere between 17,000 and 34,000 seeds. So yeah. I like it. 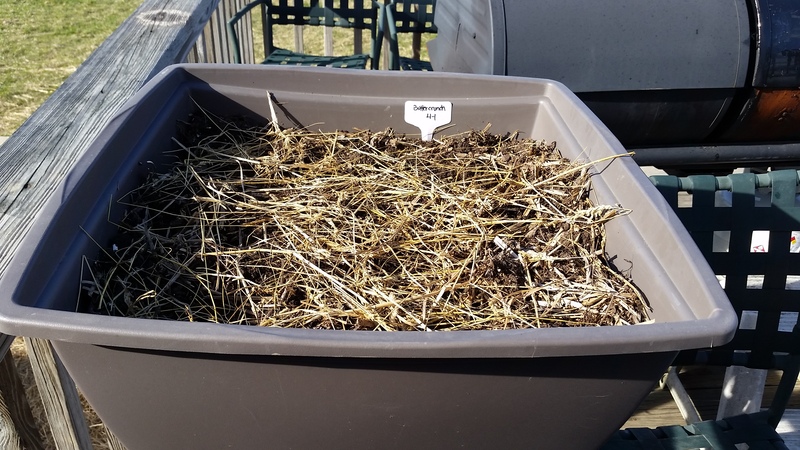 I planted the first round in a box on our deck and in a square of our kitchen garden. Joe and Jake sat and supervised my work, munching on goldfish crackers. Once they were satisfied with my job, we set off to explore the swales and tend to the chickens. 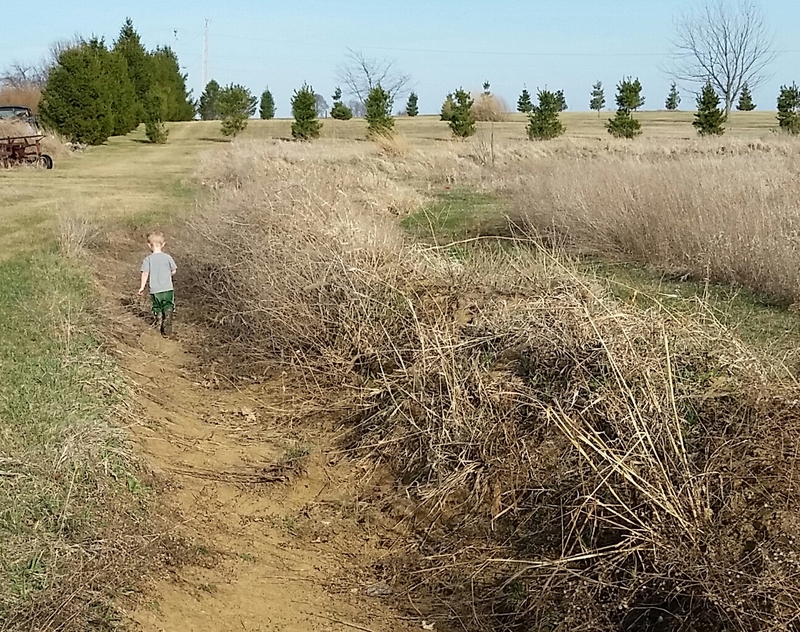 All the water had soaked into the berms so the boys had free reign to run through the swales. They took off quickly. All I could see were their blonde and brown heads, bobbing above the berms as they raced through the swales. The chickens had been out roaming all day long. They stayed pretty close to their coop, only venturing as far as the southern swale and the garden shed. 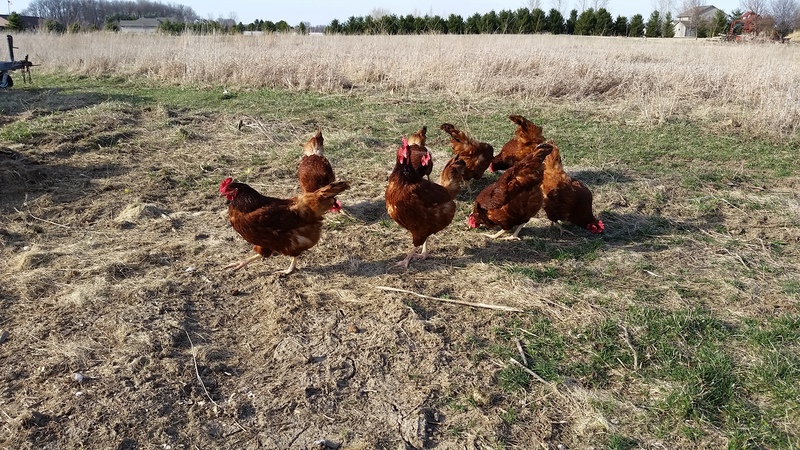 I thought that they would have laid eggs all over the place and was prepared to have an early Easter egg hunt–but there were 6 eggs in the laying boxes. Joe decided he needed to do some digging in the swale. 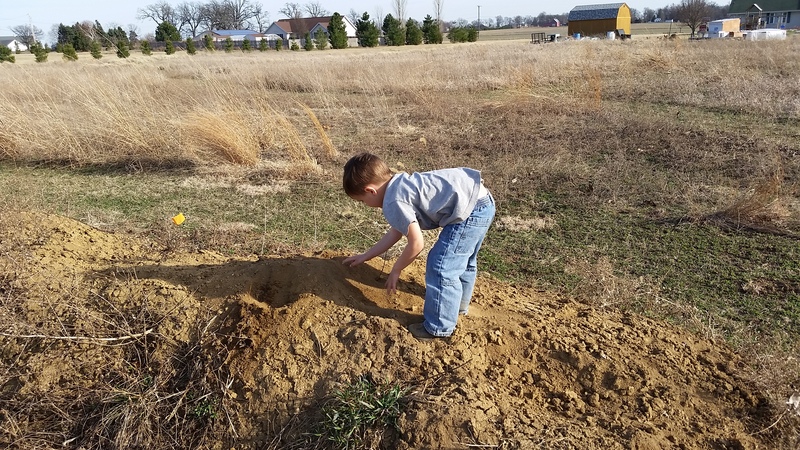 He wanted to plant a tree there. We’ll be propagating some of our Autumn Olive and aronia to plant in the berms so he will be a big help when we are ready to plant. I love how excited they both are to help. 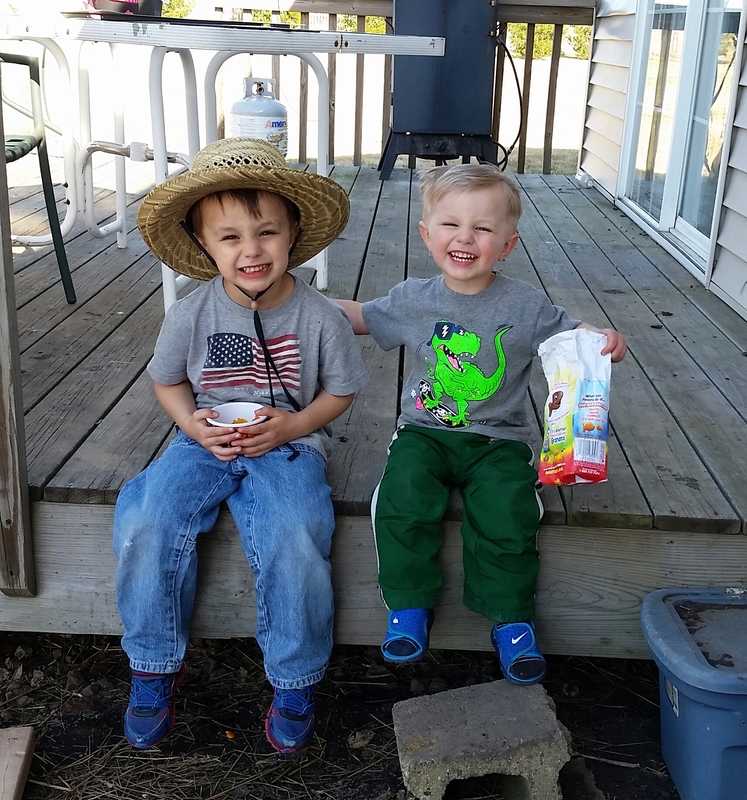 Even though sometimes their ‘help’ doubles the time it takes to do a simple task, it does my heart good to see their delight in planting a seed and their pride in “helping Mommy plant in the garden”. This entry was posted in A to Z Blog Challenge, Garden Stories, Writing. Bookmark the permalink. Thank you! I try to be a tidy farmer but sometimes it gets away from me.